Typhoon CHABA is recurving toward northeast, and moving in suoth of Okinawa. The intensity of the typhoon seems to be at peak today, and a large eye is visible on the satellite image below or the weather radar image. 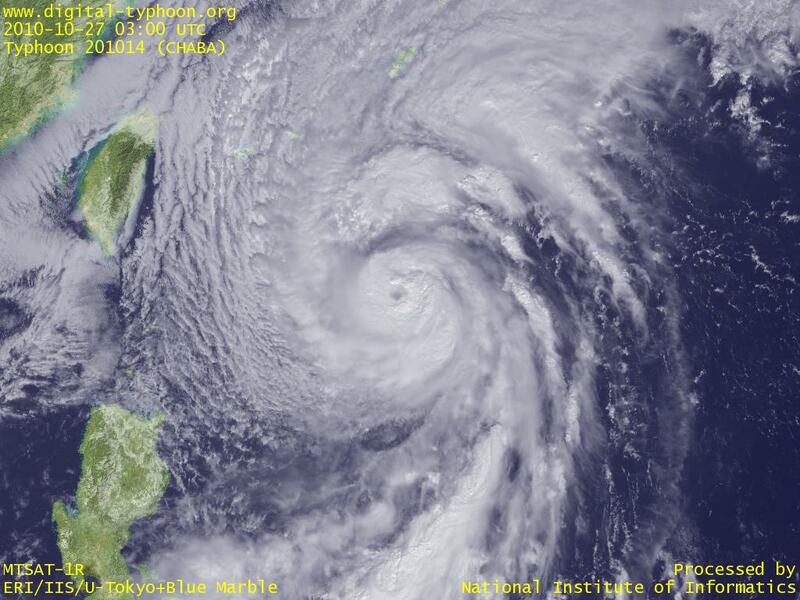 From tonight through tomorrow, the typhoon is expected to draw very near to Daitojima region, so the region will suffer from strong winds and storm surges. By the way, a large area of Japan is covered by cold air like winter, which suggests that warm air and cold air is competing each other in south of Honshu. Typhoon CHABA turned its track toward north, and is now approaching Okinawa Islands. This typhoon will gradually turned to northeast, and move in south of Okinawa. Amami Oshima Island, which suffered from the heavy rain last week, is also expected to have heavy rains and strong winds. The radar image shows that, at this moment, clouds over Amami Oshima seems not to be well developed. 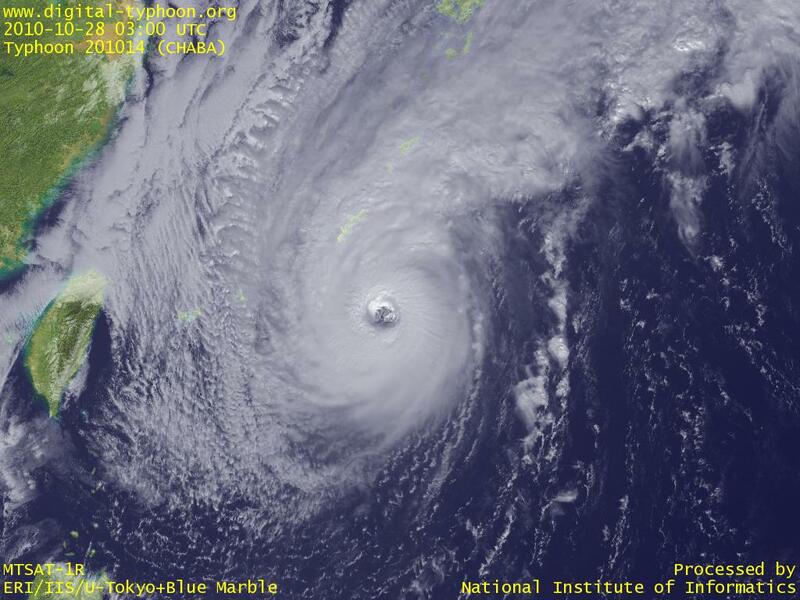 Typhoon CHABA was formed in east of Philippines. Its birthplace is near the track of the previous Typhoon MEGI, but it is forecast to move northward.